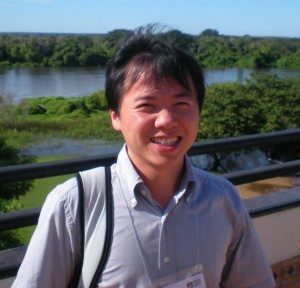 Shaozeng Zhang is a cultural anthropologist who has been consistently researching environmental issues in global contexts, primarily focusing on grassland desertification in northwestern China and tropical deforestation in Brazil. His recent work was specifically focused on the policy evolution of an environmental financial mechanism REDD+ (Reduction of carbon emissions from deforestation and forest degradation) in Brazil in the context of the ongoing global climate changes and the emerging global carbon markets. In his research career so far, he has developed collaboration with academic and environmental institutions in the U.S., Brazil, Indonesia and China. Dr. Zhang has published his research in multiple languages and in journals such as “Ecology and Society”. © 2019 Technology & the Environment Research Cluster, all rights reserved.